Fragrance: Sweet and Fresh Essential oils & Extracts: Sicillian lemon Additives: Lanolin, Powdered Indigo (bath bar) Exfoliation: Mild Other Ingredients: Saponified oils of Coconut, Palm, Castor and Olive. Find the matching hand balm here! What is Sock Soap? 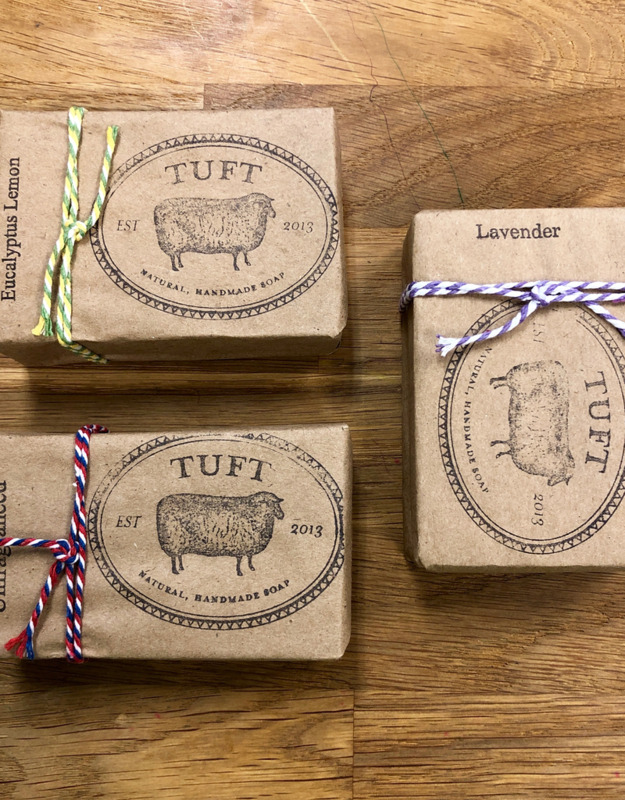 Tuft handcrafted Sock Soap is perfect for all of your woolens, handknits or delicate items. 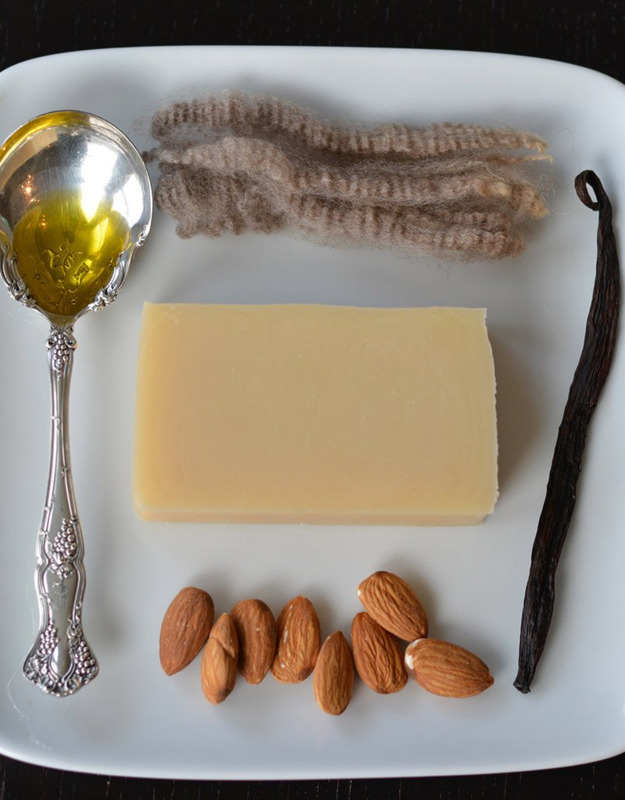 Sock soap is all natural and contains lanolin which acts as a softening agent and conditions your wool and other natural fibers. No artificial surfactants or detergents are present in this soap. You can also use this as a softening shave or body bar in the bath or shower! 4.00 - 4.5 ounce bar. 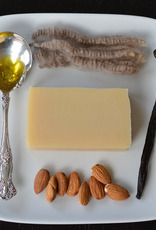 Given the handmade nature of this product, every bar is unique. The pictures are representative of the product you will receive. To Use: Lather soap generously under cool running water in your sink or washing machine. For extra cleansing, you can rub bar directly on the soles of your socks and gently squish in the water. Let soak for 10 minutes and rinse well. For maximum life: Please store this soap in a well draining soap dish. 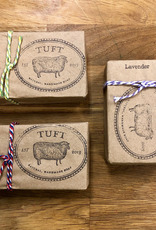 Minimal, Eco-friendly, recyclable packaging.